Select from our range of E Cigarette vaping starter-kits from Aspire, Eleaf, Justfog, Innokin, SMOK, Suorin & Vaporesso. Vape Kits There are 12 products. Select from the Steam Age Range of Vaping Pod Systems. Aspire, Justfog, Suorin & more. Primarily for use with Nicotine Salt e liquids. Halo Vice Disposable Vaporizer Choose from Tribeca Tobacco or Subzero Menthol. 50mg/ 5% Nic Salt Halo presents a superb disposable electronic cigarette called the VICE. Each disposable device is comparable to 20 cigarettes. Comes in a pack of 1. Aspire Nautilus AIO Pod Kit Can be used for both MTL vaping AND Nic Salts. Large 4.5ml juice capacity. Replacement pod cartridges available and sold separately. Replacement coils come in 2 options - 1: AIO BVC Coils for Mouth-to-lung Vaping and 2: AIO NS Coils for vaping nicotine salts. 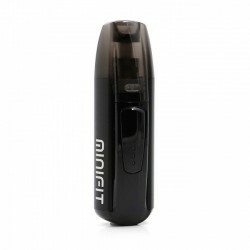 Justfog Minifit Kit | Refillable Pod Mod Excellent for Nic Salts. The Justfog Minifit Vape Pod Kit is a super portable, compact vape mod. Just fill and refill with your favourite nic salts. Perfect for nic salts, stealth vaping and travelling - easy to use and reliable. Replacement pods sold separately. Justfog C601 Pod System Use with Nicotine Salt e liquids. The JUSTFOG C601 Ultra Portable Pod Kit is a stylish all-in-one pod system featuring an integrated 650mAh rechargeable battery, refillable 1.7ml bottom-fill pods, and a protective swivel cap. Replacement pods sold separately. 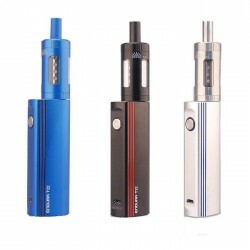 Innokin Endura T18 Starter Kit Perfect for smokers who are just beginning to vape. A compact, durable & affordable all-in-one vaping kit. Innokin Endura T20S Starter Kit The Endura T20S kit comes with a 1500mAh internal battery. The all-round best Mouth-to-lung vaping kit on the market: a compact, durable & affordable all-in-one vaping kit. Innokin Endura T22 Starter Kit The Innokin Endura T22 doubles the battery capacity and tank size of the original T18. Easy to use, all-in-one vaping kit perfect for beginner vapers. Suorin Air V2 | Super-thin Pod Mod Designed for use with Nicotine Salts juices only. The suorin air 2 is an ultra-portable and compact mod, perfect for stealth vaping, travel and hitting your fave nic salts juice. Replacement refillable pods sold separately. Combo Deal: Halo Ultra Salts e liquid + Suorin Air V2 Pod System This special Combo Deal includes: 1) A 30ml bottle of Tribeca Ultra Salts OR a bottle of Subzero Ultra Salts. Select from 35 or 50mg nic salts strength. PLUS 2) A Suorin Air V2 stealthy pod system. Perfect for the tobacco or menthol vaper or beginner vaper.